paulshobbyhangar: Scratch Built Electric RC Autogyro = Fun, Fun, Fun! Select Products and Topics of Interest for the R/C Fan! Scratch Built Electric RC Autogyro = Fun, Fun, Fun! I admit that I've never been the biggest fan of gyrocopters, but old-time autogyros (or autogiro's) like the 1930's Pitcairn make me tingle as much as any flying machine I've ever seen... so it's no surprise that I really enjoyed seeing this scratch built autogyro from Gary Jones, the man behind ultra cool RC aircraft like the 5.4 pound, 10 foot wingspan C-47and the VTOL Dark Deltoid. Not only does this simple little rotary wing flyer with the tractor mounted electric motor fly great, but as usual, Gary's video is very well done too. His secret on the video is a camera mounted on a baseball cap. That way, all he has to do is keep his head pointed at the aircraft to give us a smooth track thru the air. This works much better than trying to have someone who doesn't know where the airplane is headed running the cam. And, these very light weight models also make it safe to fly them very close by so that they fill the frame. It's these great views of slow flying machines that really capture the magic of flight. And listen closely when the autogyro gets really close the the camera... you can hear that awesome 'whirlybirds' rotor sound! I love this stuff! 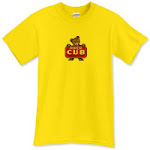 Piper Cub Logo Tee... Best Seller! 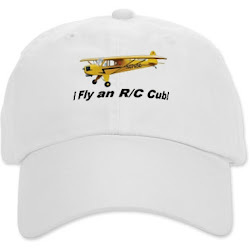 I Fly an R/C Cub - Click on Image for Details! Click on the 'trouble ordering' link below if you experience a problem when ordering! Esssentials for the Auto Enthusiast brought to you by Automotique MVP! Rate Us on AVIATION's TOP 100 Websites! Check Out Our Most Popular Links! Killer Planes 'Hawk Fighter - WOW!! Piper Cub - The World's Best Airplane! 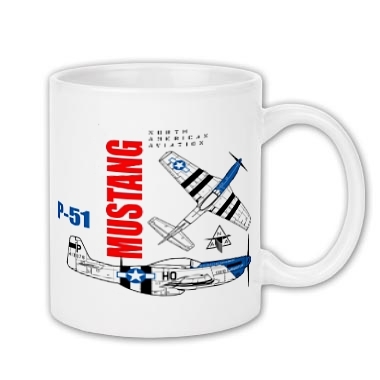 P-51 Enthusiast Coffee Mug - Click on Image for Details! 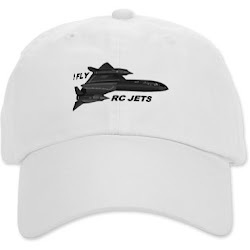 I Fly R/C Jets Hat - Deluxe Cotton Hat - Click on Image for Details!